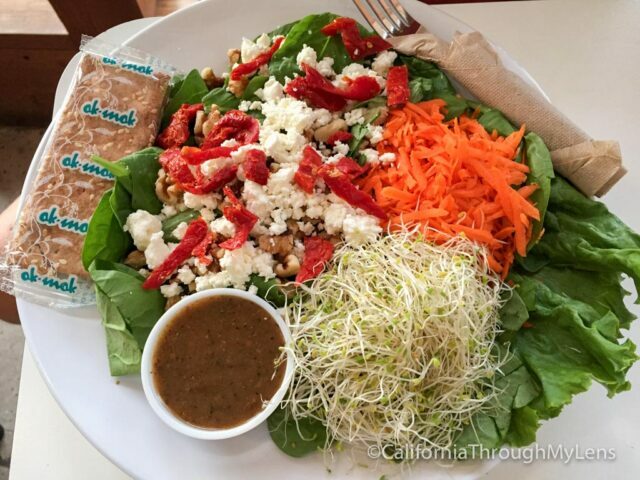 Located in the middle of downtown Joshua Tree, Natural Sisters Cafe is a great vegetarian spot for a meal when visiting the national park, even if you are not a vegetarian. 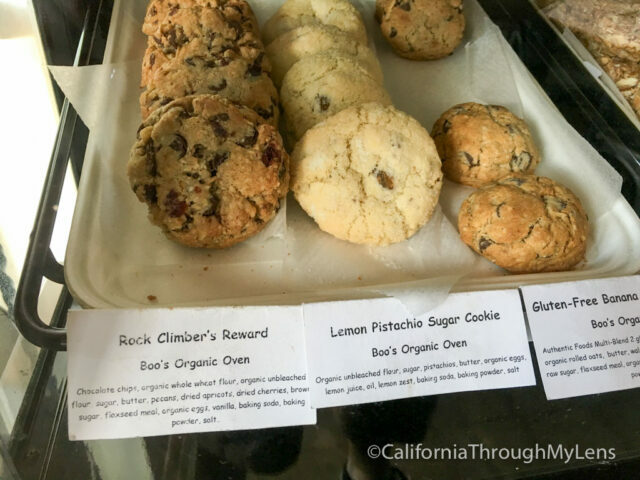 Natural Sisters and Crossroads Cafe have become my go-to places when visiting Joshua Tree National Park due to the charm they exude and the fantastic meals I always get. 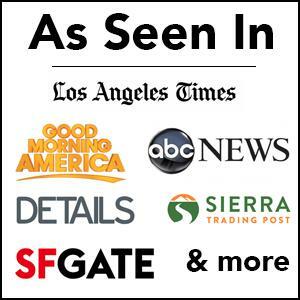 Here is all the information so you can check it out yourself. 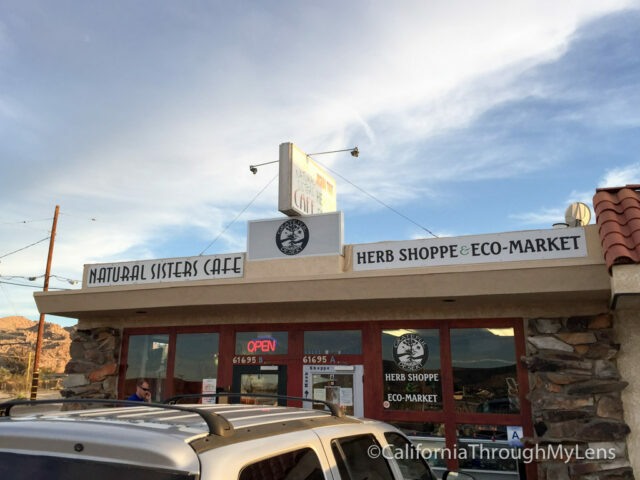 Natural Sister’s Cafe is located on Highway 62, right before you get to Park Blvd, which you would use to enter Joshua Tree National Park. It sits on the end of a small shopping center and there is a parking lot right out front with a lot of spaces. The restaurant itself is tiny with four tables inside and three more outside. There is a row of bar seating along the window, but overall the restaurant can’t hold more than 15 or so people. 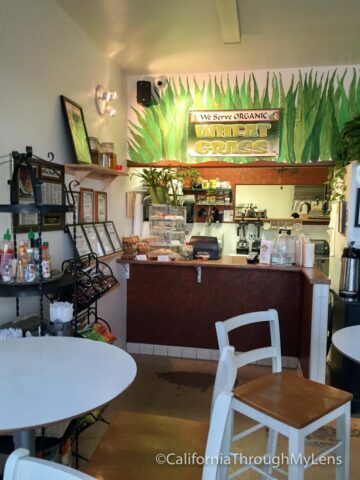 Natural Sisters Cafe is your normal walk up to the counter and order spot, and they usually have a row of specials along the wall that change seasonally. 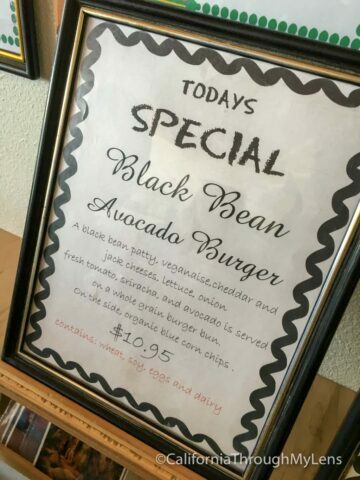 Luckily, the avocado black bean burger is pretty much always on special, and I have been getting it for years. Also, note that everything here is fresh and homemade, including the kombucha that they have and their lemonade. I love the lemonade here, and my wife is a huge fan of the kombucha. Like I said above, this is a vegetarian and vegan place, so if you are either of those, you will be very excited. If you are a meat eater like myself though, do not write Natural Sisters off. I always leave incredibly happy with my meal, and I imagine you will as well. 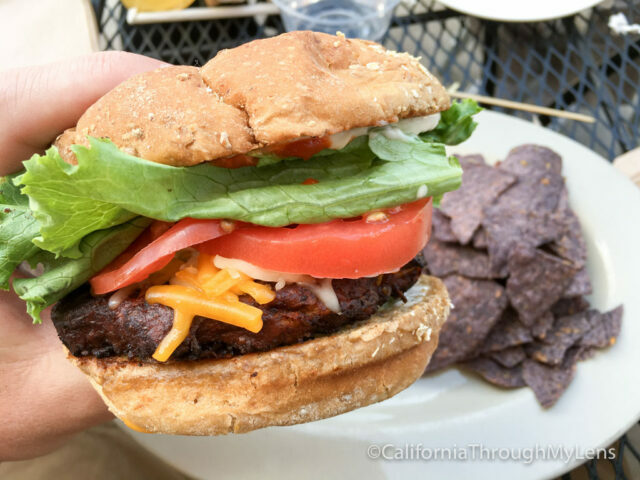 My go to here is the avocado black bean burger. As a meat eater, this is one of the best vegetarian burgers I have had. The patty is made in-house, and it is full of flavor. There is even black beans falling out of the patty so that you know it is homemade. Comes with blue chips that are a good, relatively healthy addition to the meal. They have a whole bunch of good desserts as well, but for me, it doesn’t get better than the apple pie. The pie itself has a strong cinnamon taste, while the crust is nice and flaky. A slice of pie is a good thing to order and share, as the burgers are pretty big so I doubt you will leave hungry. As you can tell, I am a huge fan of this spot. 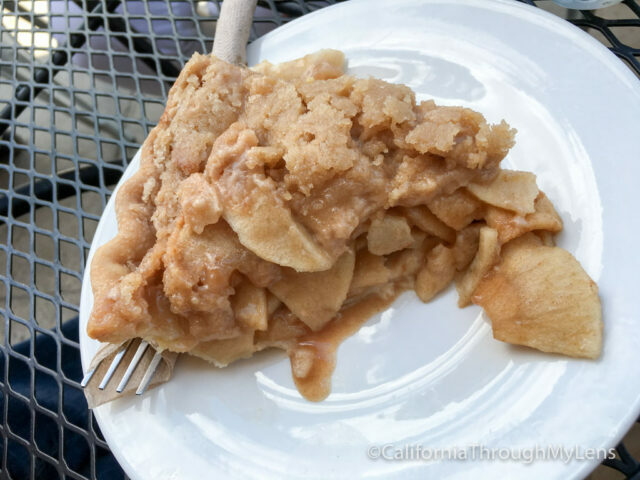 Believe it or not, the small downtown area of Joshua Tree has three places that I love, Natural Sisters, Crossroads Cafe and Pie for the People. 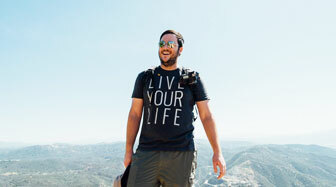 So next time you are heading out to the national park, be sure to give one of them a try. Let me know what you think in the comments.